Stream anime episodes online for free, Watch One piece Episode 55 English version online and free episodes. Anime Episode guide One piece Episode 55 English dubbed Miraculous Creature! Apis’ Secret and The Legendary Island! The Calm Belt is revealed to have no winds or currents as well as being the home of many giant sea kings. Apis forms a plan with Luffy’s help and escapes the sea kings by riding with one’s sneeze. Later, the crew reaches Battleship Island, where they listen to the soporific story of the island’s creation. 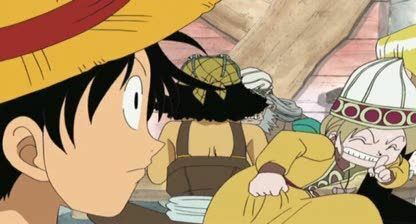 After following Apis into a cave where a dragon is hidden, Luffy and Nami find the reason why Apis is being chased.